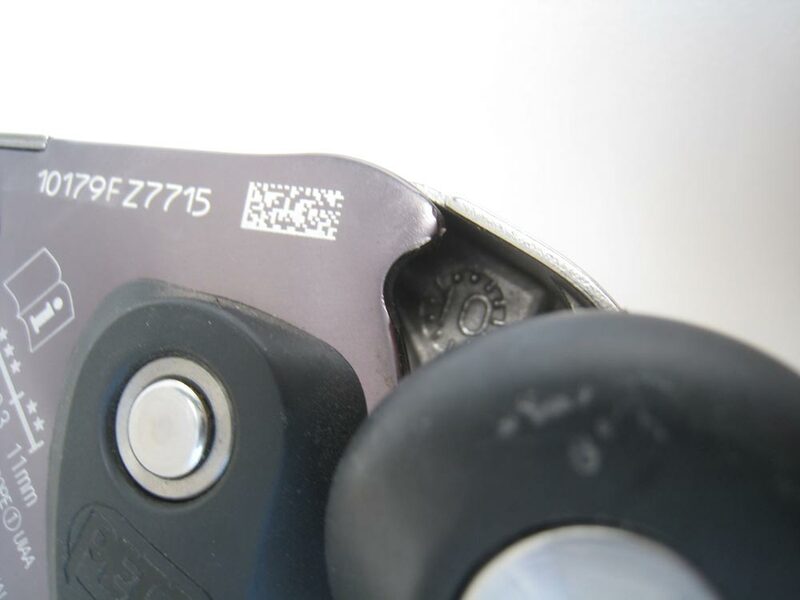 Concerns all GRIGRI 2’s (D14 2O, D14 2G, D14 2B ) with the first five digits of the serial number between 10326 and 11136. Principal materials: aluminium alloy, stainless steel, nylon. I’ve been using the Petzl GRIGRI whilst rock climbing for about 18 years now, it has to be one of my favourite and most used pieces of climbing gear. 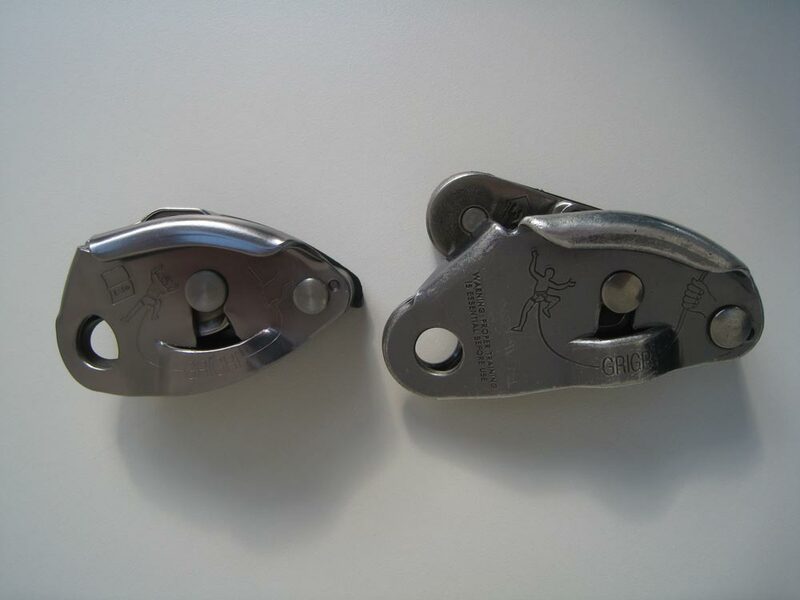 The GRIGRI 2 is lighter weighing in at 185 grams, which is a rather noticeable 40 grams lighter than the old one. It takes smaller ropes; taking skinny ropes from 8.9mm up to 11mm – the old Grigri was certified to take 9.7mm to 11mm ropes. With regards to functionality it operates just like the old one, only safer. 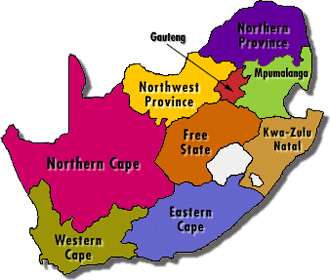 8.9mm ropes are short on supply in South Africa, so to test it I took a fall on a 9mm rope. 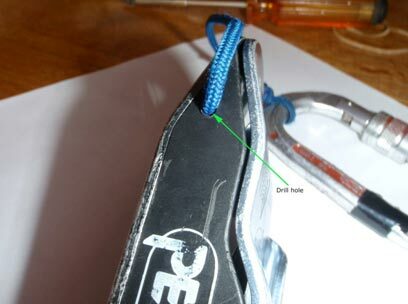 The GRIGRI gripped the rope straight away as if it were an 11mm rope (*Note – The belayer ignored the instruction manual and was not holding the tail end of the rope during the test – which means the GRIGRI auto locked by itself). The handle is slightly shorter and the axle of the ‘Release Handle’ has been shaved off. By tucking away the bulbous axle (*See photo above) you are far less likely to drop someone accidentally because you no longer have the power of leverage. In the event of someone accidentally resting their hand on the ‘Release Handle Axle’ it should push your hand off the device in the event of a fall. 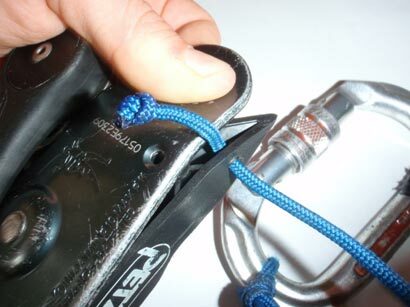 Whilst the GRIGRI 2 is locked, its almost impossible to release without pulling the handle back! The smaller handle works well and you feel like you’re dealing with a more delicate device and less likely to grab it like a loaded slot machine! Comparing the Cams of the old and new GRIGRI’s you will notice that the GRIGRI 2 has a larger Cam which gives you better control whilst you’re lowering someone (slowly). Because of the increased size it is no longer as easy to lower someone at ‘high speed’ without getting an awkward speed wobble on the device. To me this is another safety feature. For normal, safe lowering speeds its perfect and noticeably smoother too. Another major benefit is that you can feed slack to the climber more easily (this is probably the most noticeable benefit). 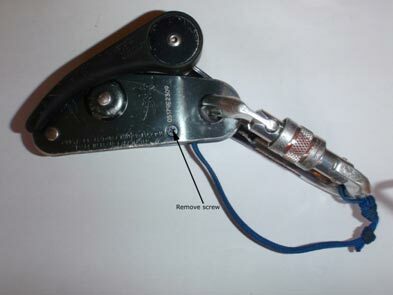 Using the device is exactly the same as using the old GRIGRI, it threads, locks and lowers just like the old one! I’ve had a few friends to test out the GRIGRI 2 at the crags over the past 3 months and no one could fault it. Most commented that it was easier to give slack. 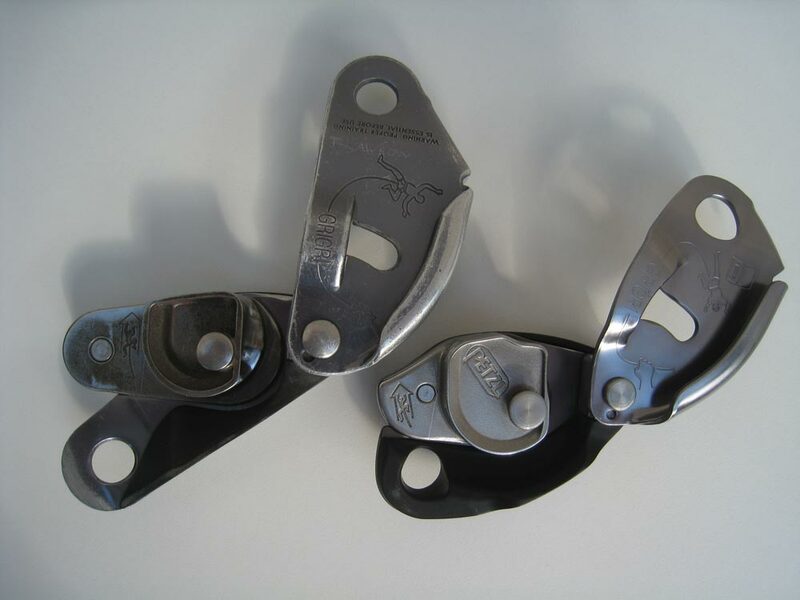 So should you ditch your old GRIGRI from your rack and go buy the new one? I would say no, but if you don’t own a GRIGRI or you’re looking to replace your old one then the new GRIGRI 2 would be the obvious choice. 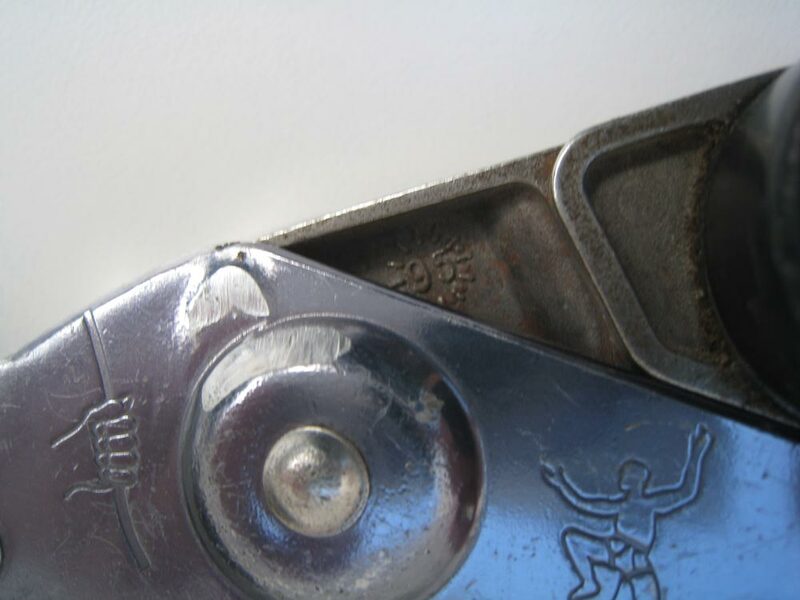 Also, GRIGRI’s do have a life span, after excessive use you will notice that big fluffy ropes pass through you older GRIGRI easier than your friends newer one… this is because your device is worn and probably needs to be replaced. Abseiling on the GRIGRI2 is much the same as the old one, however whilst lowering oneself I found the lever to be more sensitive (just like when you are lowering someone). 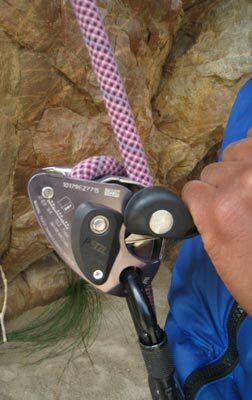 You will want to practise abseiling with the device before going out into the big mountains. Petzl’s GriGri2 and four pieces of equipment from Black Diamond have become the first braking devices to be certified by the UIAA and can now bear the UIAA Safety Label – the only certification for braking devices worldwide. Does it still have the plastic plate underneath? It was quite useful on the Gri-Gri 1 for attaching a keeper cord to. See above, the 3rd picture down (click to enlarge). Any chance you could send me a photo of yours with the cord? Thanks for the review. Easier slack feeding might be enough of a reason to upgrade. I am from Brasil, and support the “Blog de Escalada”. It s the biggest blog in Brasil. I really like your review, and I translate (but put all the credits for you) and putted there. I hope you don´t mind to translate. @Justin: Sent you the picture, feel free to post it if you like. Thanks Nic, see your pics above. 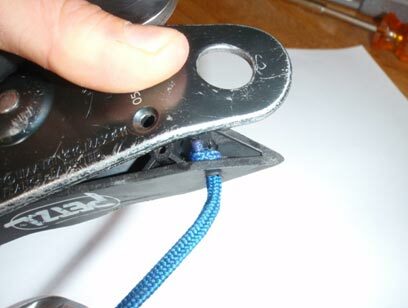 To answer your question: Yes, in theory you should be able to do this to the GRIGRI 2 although the plastic at the bottom is a bit thicker than the original GRIGRI. 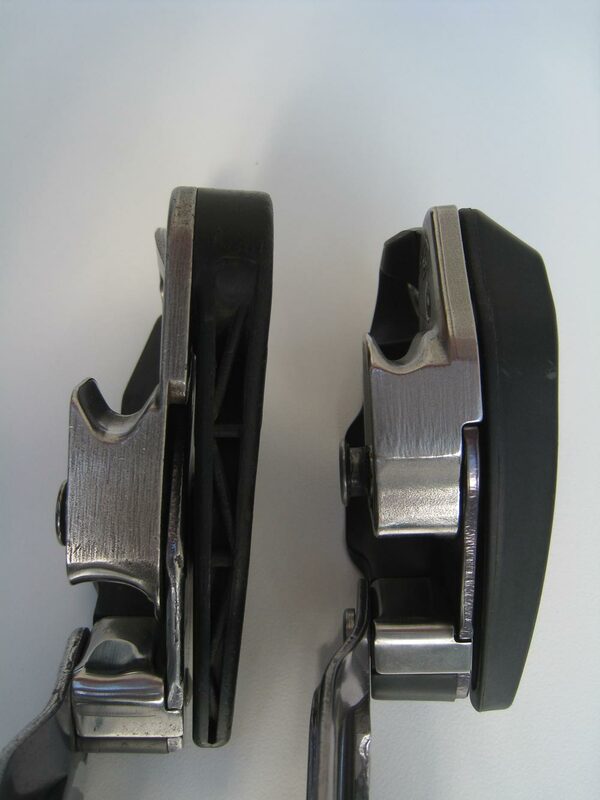 I am very surprised that Petzl did not make the new Gri Gri with a swinging check plate. Much the same as the Rig and the ID. I have never used the Gri Gir for climbing, only during rigging work. It can be a very useful piece of gear but I hate it for having to disconnect it completely every time you need to change the rope. Do any of you find that annoying too? 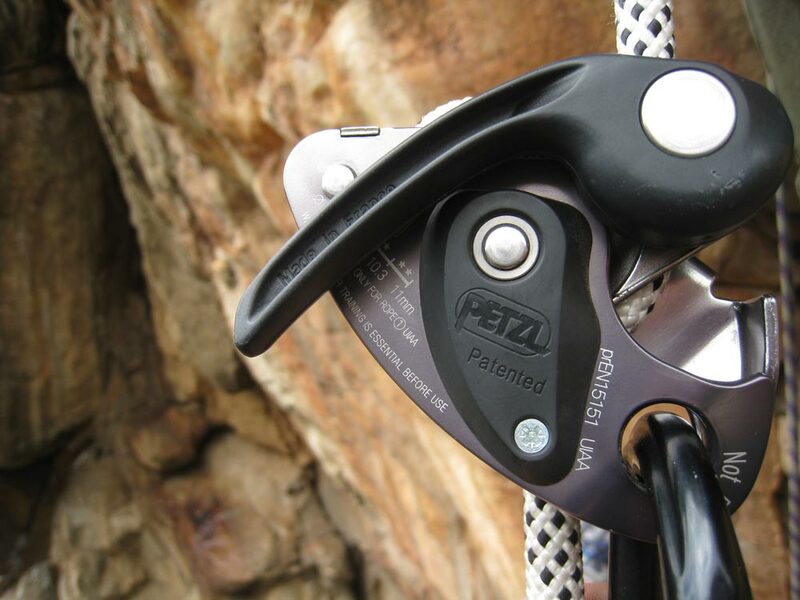 Petzl.com says “The Grigri 2 will start to leave our warehouse in France on the 17th of Jan. Then it can take from a few days to several weeks of shipping delay to reach all the countries. For USA they will hit the stores in March”. Graham, I know what you mean about having to disconnect the G completely (I am especially careful when using my G on multi pitch routes). Grigri 2 now available at a climbing store near you!! It is important to note that failure to control the braking side of the rope is a misuse of the GRIGRI 2 under any circumstance (See GRIGRI 2 Technical Notice – pdf file, 2,5Mo). The previous generation GRIGRI is not concerned by this recall. Not sure why you would want to spend that kind os money when a rescue 8 is cheap, smplie and the gold standard. More part, more things to go wrong. I’ve never had a problem hand breaking with my rescue 8 in all my years climbing. Plus you can feed slack effortlessly with an 8. These are totally different devices. 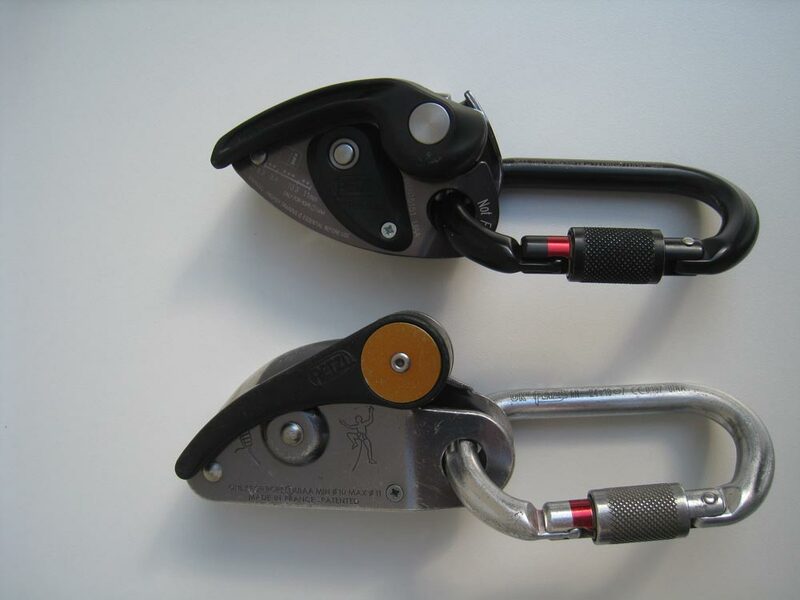 I’d rather say the GriGri is the gold standard of sport climbing belay devices. A rescue8 is a static device requiring user input at all times. The GriGri can hold a fall even if the belayer is for some reason incapacitated, and besides this, makes for effortless control over long days. What you said now is like saying whats wrong with a Mazda 323, why do you need a Porsche? They do the same thing, get you from A to B. Use a GriGri for some time and the answer is clear. Now the sad part is that the TRE stopped being made 🙁 Now THAT was a classic.